We love duvets and know that there are so many advantages to using a duvet and duvet cover over a comforter. Duvets are protected with a cover so they do not need to be washed as often as comforters, which helps to prolong their life. How long can they last? 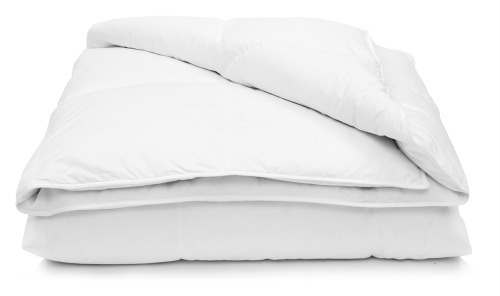 A good quality down duvet (that has been properly cared for) can last up to 15 or 20 years! Duvets are also easily customizable with various covers allowing you to easily change up the look of your bedroom - duvet covers also take up less space in the linen closet and are easier to clean than a comforter. But probably the biggest advantage to using a duvet is that they are available in a variety of fill and warmth options, allowing you to find the duvet that is perfectly suited to you and your sleeping preferences. 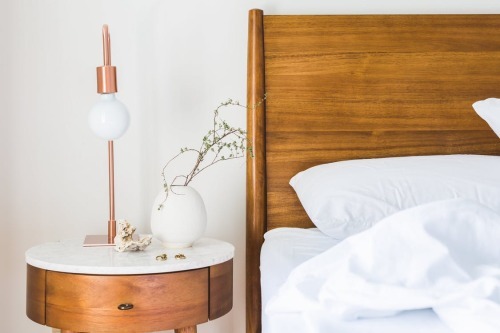 While comforters are primarily available with a polyester fill, duvets are available with a variety of fills including down, silk, wool, or synthetic. Down - Down duvets are filled with the light and fluffy plumules which form an insulating layer on the belly of ducks or geese. Because it is a natural material, down is a breathable fill option for duvets. The combination of air and down gives down duvets their signature puffy look and they float above the body giving you the sensation of “sleeping under a cloud”. Silk - Silk duvets are filled with silk strands that have been crisscrossed and teased together to create an even layer without any cold spots. Silk duvets have a more flat look than traditional down duvets and will drape or hug the body rather than float above it. Silk is a 100% hypoallergenic material that naturally resists dust mites and the growth of bacteria making it a great choice for allergy sufferers. Wool - Wool has been used in bedding for centuries because of it’s breathability and moisture wicking abilities. Wool duvets can wick up to 1/3 of their weight in moisture while keeping you comfortable and well insulated. Like silk, wool is hypoallergenic and resists dust mites and bacteria. Microgel/Polyester - Synthetic fills that emulate down, like 100% polyester microgel, make for very affordable duvets that are also hypoallergenic. However, microgel/polyester duvets are not as breathable as their natural material counterparts and if too heavy, can promote sweating. So which duvet is best for you? 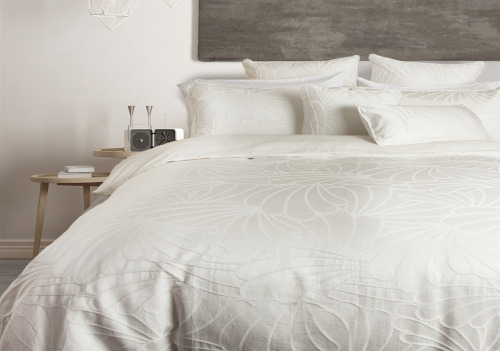 Warm sleepers, or those who tend to get hot easily will love the breathability and temperature regulating features of a silk duvet like the Sentosa Mulberry Silk Duvet. Cold sleepers, who can never have too many blankets, will love the cozy warmth of a winter-weight down duvet like the Imperial White Goose Down Duvet. Somewhere in the middle? Or perhaps there’s a warm and cold sleeper sharing the bed? A year-round warmth down duvet like the Prestige White Goose Down Duvet is a great option that will be comfortable for the majority of sleepers. Wool duvets, like the Pure Australian Wool Duvet, are another great option for warm and cold sleepers who share a bed. Wool is believed to create microclimates around each sleeper keeping both comfortable no matter their body temperature. Microgel or polyester duvets like the Elite Microgel Duvet are a good affordable options for kids (who might change bed sizes as they get older) and for guest rooms. Don’t forget to pair your new duvet with a duvet cover to protect it and enhance the look of your bedroom. Visit our website to see more great duvet options and to shop for duvet covers.